I apologize in advance for just signing up to put up a sales ad. I browsed the forum many times and it helped me alot. Thanks everyone! For sale is our 1997 318ti with 5 speed manual with 147,853 miles. 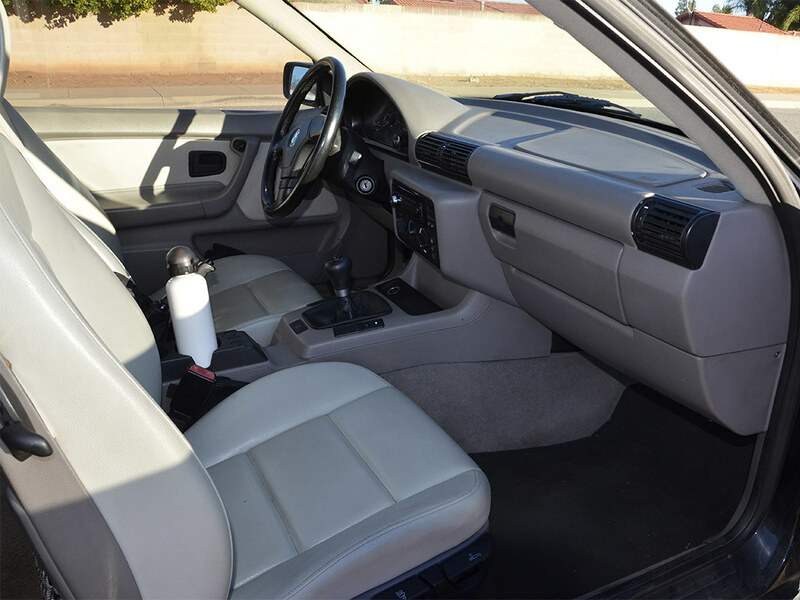 Gray interior and sunroof. The car has been daily driven by my wife. The registration is due this month, so in order to avoid back fees or waste money on a registration I don’t use, I would like to sell this car fast. The car is located in Menifee, California. The car. I am the third owner. Second owner bought it in 2012. I took it over in summer 2017. The car got it's engine replaced at 124,155 miles in early 2017. I have invoices for many parts that have been replaced over the years, and all the parts that have been replaced when the engine was out, incl the cooling system. 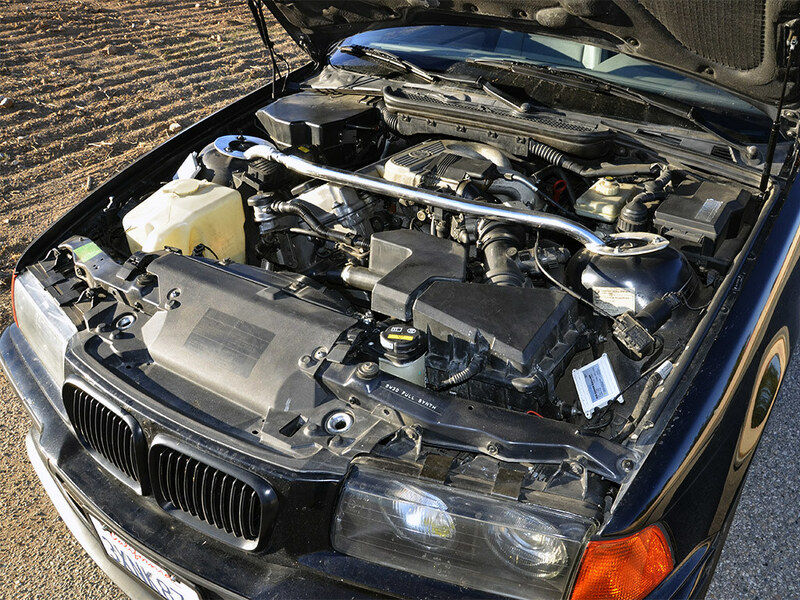 All parts are OEM or brand parts. Beside a weird wiring of the rear speakers and a dead wire for a subwoofer that was in the trunk, nobody has messed with it. 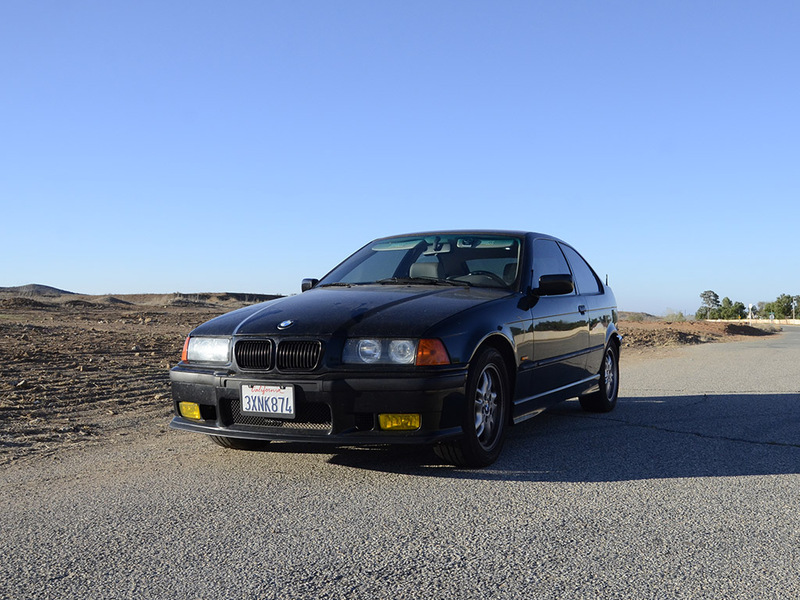 M3 front bumper, yellow fog lights, and sideskirts. Projector headlights with HID conversion. Well done by the prev. Owner, works very well. Z3 steering wheel. Could need a rewrap, but isn’t yucky, just worn. E46 M 5 speed leather shifter knob. Replaced together with a leather boot on both the shifter and the e-brake last year. All speakers have been replaced by prev owner. The ones in the rear sound terrible though. I blame wrong wiring, because the speakers (Alpine) are fine. Last oil change in Sep.
Fuel Injector Code P203 (Cylinder 3 Injector Circuit Malfunction). The code pops up under load. While driving on the Freeway for longer time it disappears. The car starts a little rough with the code on, but runs fine once after a while. Starter: The car has occasional starting issues. I’m certain it’s the pinion gear that needs some cleaning, because if it grips, it will start right up. If not, there is this typical whirling sound of it not engaging. Most of the time the starter works, but if not it needs a few attempts. Driver side window regulator doesn’t work. Dent on driver side quarter panel and other parking lot dings (believe me I cried on every single one). Headliner, a-pillar, and sunroof switch panel. Somebody did a not so great job on replacing the headliner. It looks okay, but it always bugged me. The sunroof switch panel drops, I used velcro to keep it in place. Rear bumper. Got it’s scratches from people who can’t park. Left side rear is loose and needs adjustment. Driver side seat torn and and slightly cracked. I wanted to replace them both, since I don’t find both not very comfortable. Folding mechanism and adjustment works fine. Passenger side door has been repainted and starts to flake around the door handles and window seal where it was masked off. Burn holes in the carpet and seat vinyl. Seats look good (beside the cracked vinyl on the driver side) but there are a few burn holes where someone dropped ash. I got the car clean, and it didn’t smell. We don’t smoke, so it must have been a long time ago. Hard to spot. Passenger door panel makes noises due to one broken clip. Not loud but noticeable. Cracked fog light. Front lights are protected with X-film. So the glass will hold. monochrome BMW badges, and some other bits. 2018: New Rear shocks incl. Hardware. Photos in my Dropbox, also the VIN . Ask me questions, I will answer. Thanks, so far no interest. Have it listed on CL but for a higher price. Would rather sell it to a fellow BMW enthusiast. The tires are indeed 225/50R16. They are Dunlop Direzzas, which I like alot. They come at the right price and are often even on sale. The guy I got mine from said he had a ton of replies, but a ton of low ball offers mostly. Then along I came actually serious about buying and recognizing a fair price on a great car. You'll be found by a reasonable person too. Thanks for the tire size information too. Those 225's look just right. Yes, but it's non-op now. But I let it idle and drive it up and down the street once a week.